When thinking about the transportation of Walt Disney World, monorails often whisk by in our dreams and overcrowded buses fill our nightmares. 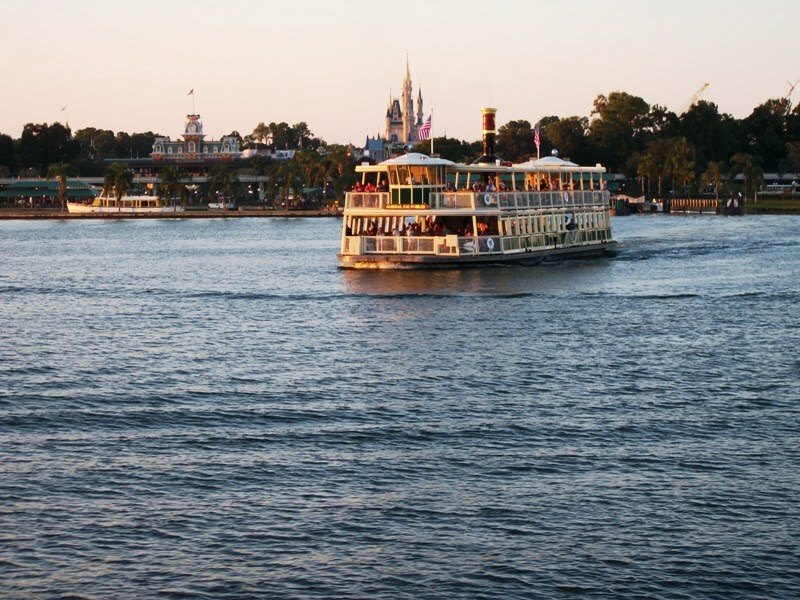 Sure, on occasion, someone will think or talk about the ferries from the Transportation and Ticket Center to the Magic Kingdom, but as a whole boats are not highly discussed or traveled. That’s great for someone like me who loves traveling by water and never faces over crowded watercraft, but, in all honesty, the boats are a truly wonderful way to travel. 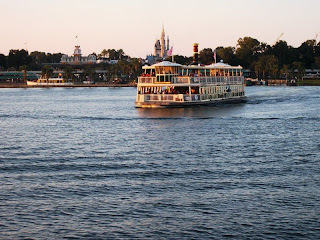 Everyone knows about the fleet of ferries that, well, ferry guests to and from the Transportation and Ticket Center and the main parking lot of Walt Disney World. However, few guests actually climb aboard the ship unless there is a massive line for the monorail. I understand, the monorail will generally get guests to the Magic Kingdom’s entrance a lot quicker. But there is an inherent magic that comes from climbing the stairs to the second level of the ferry, watching other ships go by, the monorail soaring behind palm trees, the unique views of the park and resorts, and the breeze rustling your hair while you lean on the rails. Add in a all of these features with a twilight trip, and you have a truly magical moment. World Showcase and Disney’s Hollywood Studios, along with the resorts in between, also have a unique water traveling experience called the Friendships. Whether puttering around the World Showcase Lagoon and moseying along between the two parks, the Friendships aren’t as timeless as the ferries, and only offer a single row of outdoor seating. But the unique views and perspectives they offer are awesome. There’s just something about catching a glimpse of the Hollywood Tower Hotel, in profile, with a gangly mess of Florida vegetation between you and the hotel, almost daring you to cut a swath to the haunted, abandoned tower. Finally, my favorite water vehicle, the Motor Launch. 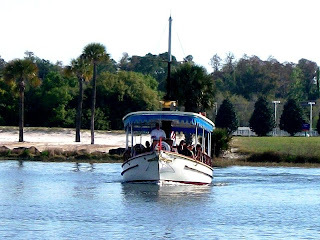 These open air, blue canopied watercraft have been carrying me around Bay Lake and the Seven Seas Lagoon since I was a little tike. Call it nostalgia or some ill-placed notion that there is a more stylish way to travel, but the Motor Launches retain their sense of yesterday when all of Walt Disney World is moving forward. Passing by River Country and Discovery Island, pulling up to the dock at the Contemporary, and slowly moving through the manmade waterways just feels right when you’re a passenger on one of these boats. I’m not saying that everyone should abandon the busses and monorail loops in exchange for plying the waterways. With time as limited as it is at Walt Disney World, that would cause even the happiest of vacations to sour. What I am asking, however, is that at some point during a trip, each and every guest takes a moment for a single voyage to truly appreciate the craft that ferry guests, memories and the spirit of a simpler time. I agree with you 100%, I have used all the boats at one time or another and they ARE fun and a QUICK way to get around! The water craft are one of our most favoritest ways to get around the world. In fact, we'll often drive over to the world, ride the boats and go home (we're lucky enough to be able to do that). 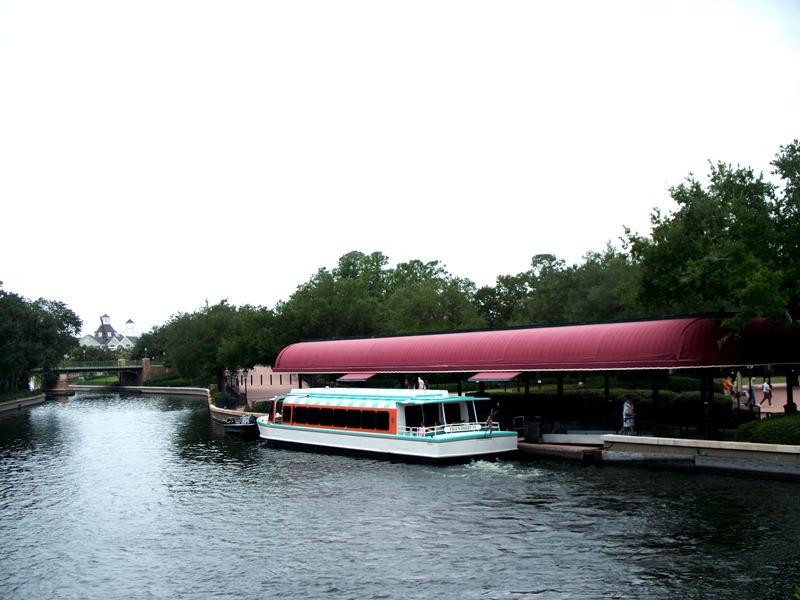 We started riding the boats back in 1977 when there was only the MK, Contemporary, Polynesian and Fort Wilderness. We camped at Fort WIlderness and our favorite thing was taking the Bon Voyage and Castaway launches from there to the MK. We are so glad these launches are still in use!! !